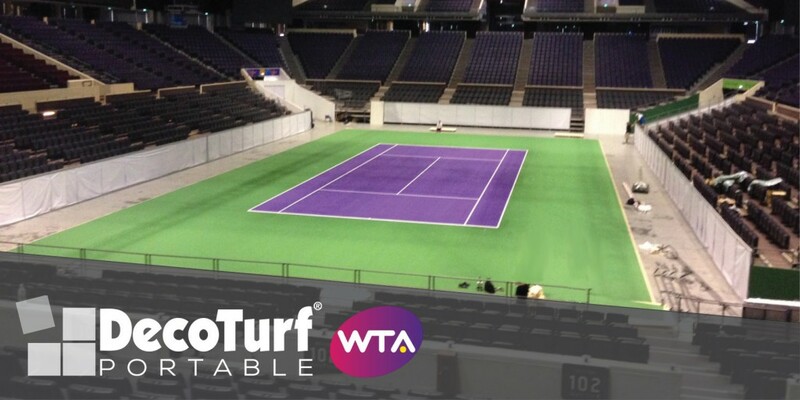 DecoTurf® Portable will serve as the official court surface partner for the BNP Paribas WTA Finals Singapore presented by SC GLOBAL, to be held at the Singapore Sports Hub from October 17-26, 2014. CSS Portable surfaces are an exclusive creation for the WTA Finals Singapore and will now be made available for rent or purchase to other venues and installers.The cushioned, wooden surface features a seamless locking base and can be finished with any of CSS’s 3 brands; DecoTurf®, Plexipave®, or Rebound Ace®. The system can fit in a single container for shipping and storing and can be installed in about 3 hours making it ideal for exhibition matches and Davis/Fed Cup ties. Working together with event promoter World Sport Group (WSG), California Sports Surfaces developed a tailored plan to transform the Singapore Indoor Stadium into the Centre Court for the tournament, which will see eight of the world’s best women’s singles players and doubles teams compete for the coveted Billie Jean King trophy and Martina Navratilova Doubles trophy respectively. 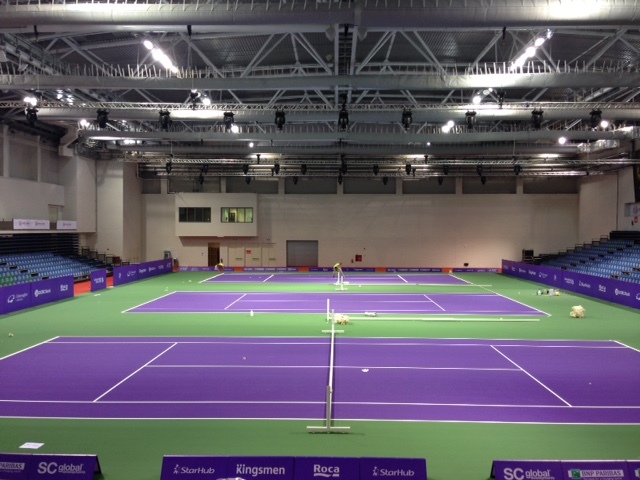 “California Sports Surfaces is proud to partner with the WTA and WSG for the year-end finals in its new Singapore home. We see it as another great endorsement of our company’s products and capability to deliver world-class playing surfaces globally,” said Steven Lock, Manager, Events, Partnerships & Strategy for California Sports Surfaces. Additionally, California Sports Surface will lay out the surface for the three practice courts, which will be located at the OCBC Arena at Singapore Sports Hub. All courts will utilize DecoTurf® Portable tennis courts, renowned for providing maximum player comfort and consistent playing characteristics. California Sports Surfaces brands are regularly chosen for use at the world’s most prestigious events. Plexipave®, DecoTurf® and Rebound Ace® are the most widely recognized court surfaces in the sport of tennis and are the surfaces of other similar world-class events.